The recent furore over allegations of match fixing by members of the Pakistani cricket team has by-and-large missed the most salient aspect of the story: no existing criminal conspiracy to fix a match had been uncovered. Rather, what has taken place is a criminal conspiracy initiated by undercover News of the World (NOTW) reporters who offered a Pakistani agent, Mazhar Majeed, £150,000 in exchange for three deliveries to be bowled over the line. This, in other words, is a clear case of journalistic entrapment. The term entrapment (encouraging someone to commit a crime so he/she can be prosecuted for that crime) is significant here, if this was committed by a police officer it would be sufficient grounds for the evidence gathered to be deemed inadmissible in court. It is clear why such a law exists: firstly, there is no way to determine whether the accused would have committed the crime if he/she were not entrapped; secondly, there is no way to determine whether anyone else would have committed the crime given similar inducement, thus allowing certain groups or individuals to be targeted unfairly with inducements that wouldn’t be offered to others; and thirdly, the legal ban on entrapment draws a clear line between the criminal and the one bringing him/her to justice. To allow journalists a privilege the police are forbidden from contemplating would be to give corporate news organizations rights that are denied to those whose very duty it is to uphold the law. It would be, in essence, a privatization, like that of education, national resources and railways, to the highest bidder of the most sacred of public services offered by the state: the administration of justice. If we take this legal precedent in which the law against entrapment is extended from police to MI5 agents even in a case in which innocent life is under threat on the principle that “the administration of justice” would be “brought into disrepute”, we must surely be able to extend it to a case in which a journalist has offered a sports agent a substantial sum of money to commit a crime that injures no one. The disparity in reporting could also be seen in the third test match, in which an English bowler, Stuart Broad, threw a ball at Pakistani debutant and leading run-scorer Zulqarnain Haider, at close range in between deliveries causing a lasting injury to his hand and making him unable to play in the fourth test, thus impacting the result of that match far more than the alleged delivery of three no-balls ever would. This, again, received minimal news coverage compared to the recent scandal and only resulted in the docking of half a match’s pay. Media coverage is relevant because it has a direct and measurable effect on the allocation of police resources (as we saw in the multi-million pound search for Raoul Moat) and, despite legal measures to stop it from doing so, the outcome of judicial decisions and those of cricketing bodies. Thus, at this stage it would be impossible for members of the Pakistani cricket team or their agents to get a fair trial. In the landmark case of Regina v Loosely, Lords Hutton and Hoffman decided on a series of factors to be taken into account when deciding upon the admissibility of evidence obtained from entrapment, the first of these being whether those who entrapped “acted in good faith,” which, given that the motive was selling newspapers rather than upholding justice, we can immediately conclude not to be the case; another factor is “the nature of the offence”. Whilst it is clear the offence is less serious than trying to procure arms for a proscribed organization, for the benefit of those who aren’t familiar with cricket and/or the story itself we must go into more detail. Firstly, what was proved to have happened on the fourth Pakistan-England test match was not, as has been suggested, an attempt to pre-arrange the outcome of the match. Rather, a video tape has been released, which shows a Pakistani cricket agent, Mazhar Majeed, promising that three deliveries (out of a maximum of 2700 legally bowled in a test match: equating to 0.00111% of potential deliveries) would be no-balls (those deliveries invalidated when the bowler steps over the line behind which his front foot is supposed to be when the ball is released from his hand). As it transpired, the three deliveries happened at the same points he predicted they would. The fact that such deliveries comprise such a small percentage of the total, are re-bowled anyway and that there is no evidence to suggest that both teams weren’t trying their utmost to win (the foundational ethos of any sport) at any other point of the game means that the plan had no impact on the result of the match (especially given the eventual wide winning margins), and thus cannot be fairly described as “match-fixing” nor can spectators feel like they have been let down. Due to the rise in instant, Internet-based betting the probability of predicting a no-ball is much lower, and therefore the profits are much greater, than predicting whether a team wins or loses a match. If someone has inside information on such an occurrence they have the potential of winning money at the expense of bookmakers who are used to earning their (tax-free) profits through exploiting the most vulnerable and poorest members of our society. However, no-one used such information in this case and no bookmaker saw any dent in their profits. A further factor in deciding the admissibility of evidence gained through entrapment is “the defendant’s circumstances and vulnerability.” For this we can again refer to the NOTW’s own transcript in which Mr. Majeed states, “These poor boys need to [get a share of the £150,000]. They’re paid peanuts”, and we need to look at the backgrounds of the two players accused of deliberately bowling no-balls in exchange for money; Mohammad Aamer (18) and Mohammad Asif (27) come from Gujjar Khan and Sheikhupura respectively, both are desperately impoverished areas of Pakistan that have been badly damaged by the recent floods. The modern Pakistani cricket team, unlike their Oxbridge educated predecessors, are as a whole not known for enjoying a champagne lifestyle and much of their wages go towards supporting extended family networks; it is therefore not difficult to see how they could have been tempted by a large sum of money from an unscrupulous journalist in the immediate aftermath of the devastating floods. To put the same point differently, such an offer doubtlessly leaves them more vulnerable than a suspected Real IRA man being promised guns and explosives in exchange for his own money. Interesting, well-written article. I learnt a lot, thank you! However, I’m disappointed that you feel it necessary to act as their defence lawyer. I understand the way you feel about the double standards present in the media. Less than a year ago a British white supremacist, who had amassed a stockpile of weapons to kill non-whites, was sentenced and yet it never made into most newspapers, and certainly not onto the Beeb. Had he been any other ethnicity and/or Muslim we would have had 2 weeks’ worth of coverage. But you are unfortunately part of the same problem; the blinkered, black-and-white analysis that we get from both sides of the spectrum. Regardless of the media’s response, what has been alleged is a crime and ruins the idea of sport being pure or clean. For the Pakistani people it is even more of a tragedy, due to how passionate they are about cricket and the honour of their people. I succumb to your greater knowledge of the law and your argument is indeed correct; there are double standards that need to be addressed. However, when something is wrong you have to condemn it, otherwise your argument loses any strength it may have had. The intention of this “sting” was never to get a conviction, it was a cynical way of criticising and demonising Pakistanis and Asians/Muslims in general. These players took the bait. and it worked! The argument that “no one was hurt” isn’t good enough. We do need to have the argument about double standards but to maintain any credibility you need to stand up against all wrongs and injustices, not just some. Thanks again. Peace. Thank you, I’m glad you found the article interesting and felt you learnt a lot. While the decision to take the bait was morally wrong as was the decision to entrap and the attempted aquisition of guns and explosives I did not condemn any of these choices in the article, and therefore can not be accused of double standards, as the article was a commentary on the legality, not, morality, of what the Pakistani players and agent did. The terms of this prosecution are still unclear. Both talk of trying the players for treason in Pakistan, and the already privatised justice that the ICC and PCB, completely bypass the issue of entrapment. More importantly – Scotland Yard must investigate because it isn’t at all clear from the tapes and report that the money paid by the NOTW was the sole transaction that had taken place in relation to the no balls. Finally, the self-incriminating statements from Majeed about fixing the Sydney test is explainable in your terms, but clearly serious enough to warrant closer inspection. Moreover, your moral commentary on the importance no balls is very odd. Any ball can take a wicket (especially the way Amir was bowling at the time), and the competitive essence of sport is ruined by a pre-arranged compromise of the sportsman’s focus. In your opinion, if they were to bowl 2% of their balls as no-balls, or 5%, would that constitute a large enough percentage to affect the outcome? Alongside your strange line about ‘tourists’ – a moniker that isn’t reserved for Pakistan – this betrays a lack of interest in the game and the stakes here. Hmm, some good points, especially about the NOTW’s entrapment and match fixing. Also, I think Stuart Broad should have been punished more harshly for his offence. If he had been banned form the recent test he would not have been able to make his match winning score in the first innings. However, there is much with which I disagree. First, all visiting teams, regardless of their nationality, are referred to as tourists. There is nothing sinister about the Pakistan team being referred to in this way. Second, the NOTW’s allegations are valuable in as much as they relate to a possible pre-existing arrangement between Majeed and gambling syndicates abroad. 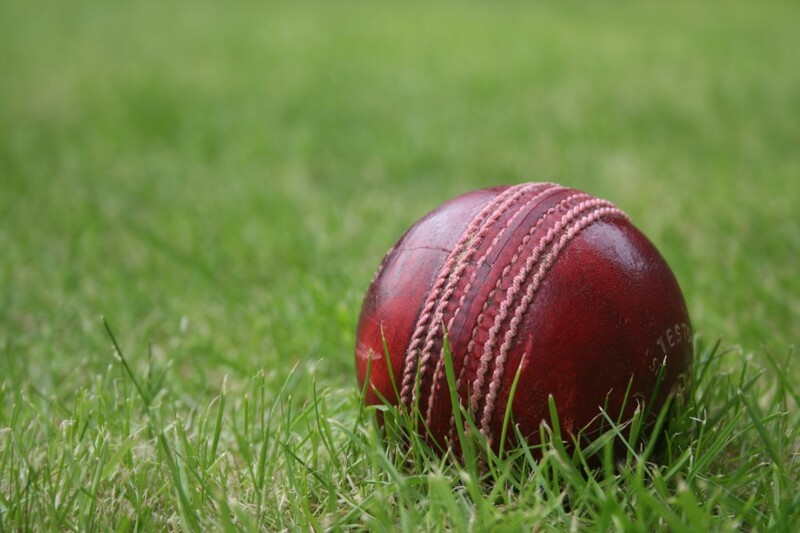 While I agree that the NOTW’s particular sting may have legal problems, it may assist in getting to the truth about other spot fixing claims against a small number of players. We should be clear that this is not ‘picking’ on the Pakistani team. Pakistan’s one day captain, Shahid Afridi, has made his concerns about Majeed clear. Third, IF Amir is guilty of cheating I hope that his career can be saved. He is very young and, as you point out, from a difficult background. Again, IF he is guilty it should be possible for him to carry on playing cricket if he is open about what has gone on. Asif, in contrast, is a different case. He has already served a ban for taking drugs. If he is guilty, it is right that he serves a long ban. Finally, everyone who loves cricket has to be concerned about these allegations. They must be investigated by the cricket authorities and anyone found guilty punished accordingly. Majeed, for example, is agent for a number of players. At the very least his licence to work in this way must be revoked and his clients obliged to find other representation. Any players found guilty need to be banned for a period appropriate to their level of involvement, taking into account their past record and allowances for circumstances. As Tariq Ali argued in the Guardian, the PCB is pretty corrupt and that body, too, needs to reform. Stuart Broad got plenty of media attention for his unsportsmanlike behaviour. The offences couldn’t be more different though – doing something which stretches and breaks the acceptable standard of sporting behaviour in a moment of frustration is in keeping with the essential principle of the thing – wanting and trying to win at every point, and not letting external agreements enter into the thing. If a Pakistani (or any touring) player had shied at, and injured Broad, the attention would probably have been even more intense – people tend to be indulgent of their own in such situations – but wouldn’t be anywhere near the front pages of the world’s papers. Whether it’s 0.00111% or 11.111% – the same principle stands. Focus can’t be turned on and off – unlike pressure on a batsman, who seeing the scoreboard tick over by a run feels less need to play the inauspicious shot that gets him out. As soon as the external, the financial, intrudes events cease to follow their true path, and the thing ceases to be sport. People cease to care – despite your rather hopeful plea: ‘nor can spectators feel like they have been let down’ – http://www.guardian.co.uk/sport/2010/aug/31/fans-anger-tickets-pakistan-scandal. Among the points he raised were: Why was a former CEO of Tesco with no cricketing experience chairman of the ECB and why is the current one a multi-millionaire investment banker if external financial interests have nothing to do with the game? Why did the head of the International Cricket Council, who is also the richest politician in India mention the effects on the sponsors and marketers as his biggest worry? Why was 20-overs cricket even invented? Why were the TV rights sold to sky? And why have 3 South Africans and one Irishman (who combined scored 75% of england’s runs in the t20 world cup) defected to play for England? 1)If players were innocent..why have they not even once publicly stated so…All that has been coming from them is a muted”I am not guilty” type of statement but even they themselves seem to have no confidence in their own statement. 2)Yasir Hamid was supposedly talking to a fan (unknown to him was recorded)..and even in friendly chat scenario with friend/fan … at no point of time does Hamid defend his team mates even once. In fact his atitude and statement clearly point that what is happening is true and he seems to thank his stars he isnt part of it….One would have thought a patriotic player would have defended his countries team mates at least behind closed doors. 3)PCB has also given a muted reply knowing as if this time they are cornered and there’s nothing they can sweep under carpet since the carpet is not in their hands this time.